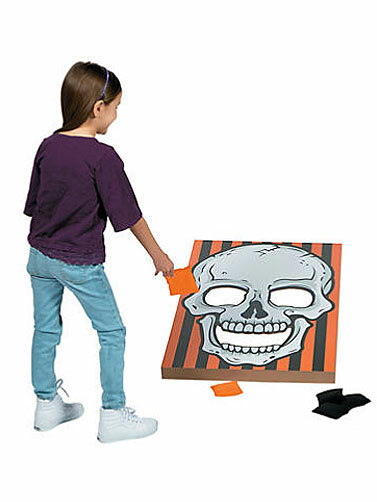 Our Halloween Carnival Bean Bag Toss Game makes a spooky decoration for your Halloween carnival party theme. 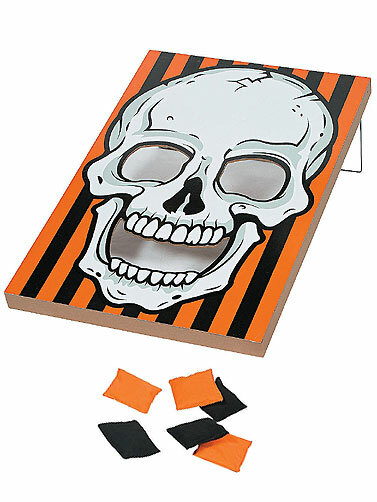 Wooden bean bag toss features a large skull print with Orange and Black stripes. Players take turns tossing bean bags into the openings in the skull eyes and mouth. Includes six Orange and Black bean bags. Board is supported by a display stick to keep it angled. Some simple assembly is required. Halloween Carnival Bean Bag Toss Game measures 23.5"W x 35.5"L.